Maybelline and their new launches always excite me. Even more so when it is an affordable eyeshadow palette, something that we rarely come across in the Indian market. They recently came out with this new concept of a 3D top coat for an eyeshadow which is a something that I’m still wrapping my head around. Basically these are mini shimmer eyeshadow palettes and as Maybelline has been belting out hits since the past one year, I had high expectations from it. 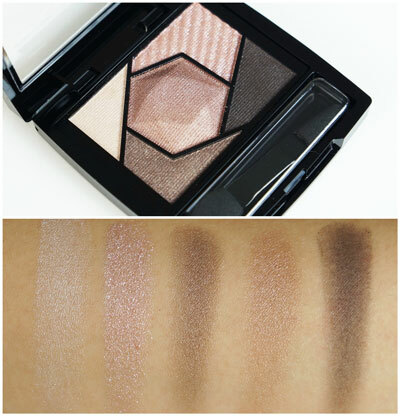 Here is the review and swatches of all the Maybelline Color Sensational Diamond Eyesahdow Palettes. 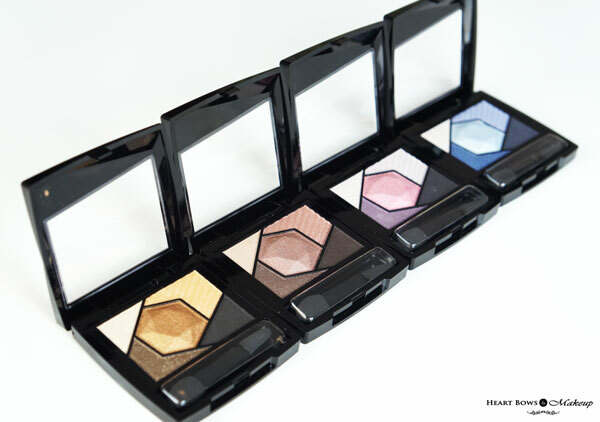 The Maybelline Color Sensational Diamond Eyesahdow Palettes are packaged in an attractive cardboard box which gives a mini tutorial on how to use the eyeshadows and other details. The packaging itself looks amazing with the metallic detailing and the diamond like cuts. It is worth the money you spend on it and does not feel flimsy. 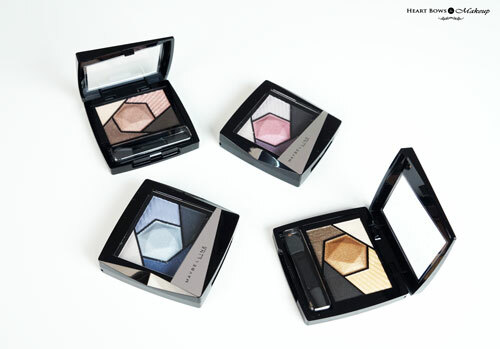 Inside, the eyeshadows have 3D patterns which look lovely. It also comes with a double ended sponge applicator which might be good for touch ups but not for application. The Maybelline eyeshadow palette is travel friendly and the lid shuts tightly. 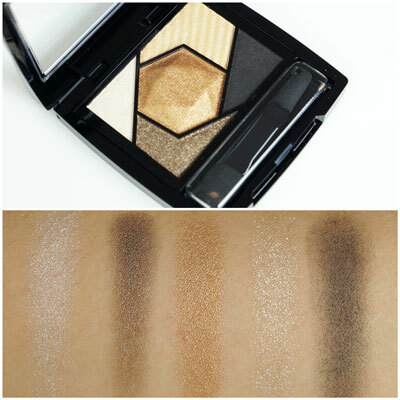 The new Maybelline Diamond Eyeshadow palettes wary according to the shades when it comes to the texture. Most of them aren’t super creamy or soft and kind of feel a bit dry. The shimmery shades are definitely a bit better in texture but the dark black-brown and the 3D top coat/glitter could’ve been better. However, I’ve not witnessed any fall out with them barring the glitter shades. It does apply well and blends fine but definitely not the best in terms of texture. 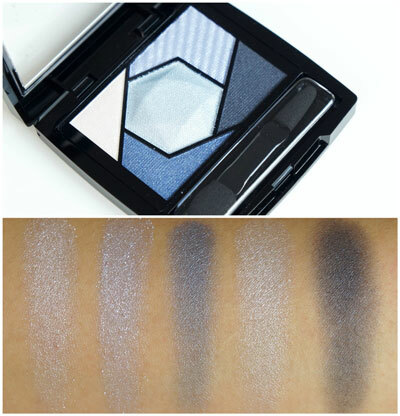 Maybelline Diamond Eyeshadow in Topaz Gold & Sapphire Blue are the best in terms of the staying power. They stay put for a decent 4-5 hours with a good eyeshadow base. However, the Maybelline Eyeshadow Palette in Rose Quartz Pink stays put for 3-4 hours while Tourmaline Purple is the worst and just fades away to glory in a couple of hours. Without a base they barely last 2-3 hours with the same intensity. These are probably good for everyday wear but then who will wear shimmer to office? Moving on to the swatches and pigmentation! This is a beautiful eyeshadow palette with warm toned colors that are perfect for the Indian skintone. Containing a nice mix of golds, copper, deep brown and shimmer, it is a perfect palette to be used with ethnic wear or gold smokey eyes. Most of the shades are well pigmented however that are not highly saturated. It does require a wee bit of effort to show up properly on the lids but can be worked with. The 3D top coat/shimmer barely shows up even when used with a damp brush. The Maybelline Color Sensational Palette in Sapphire Blue has beautiful pigmentation. It shows up easily and has a good combination of cool toned blues with a matte deep brown which is included in all the palettes. This is one palette that I can recommend as it has good pigmentation and staying power. 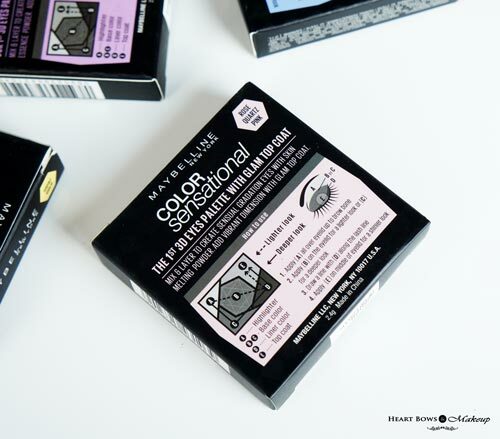 The colors are very vibrant when applied over a black base like the Maybelline Gel Liner. 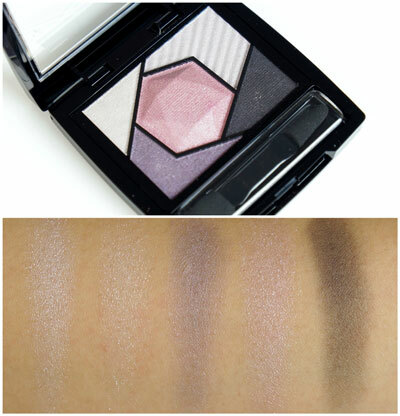 The Maybelline Diamond Eyeshadow in Roze Quartz Pink has the best combination of shades. I love the browns, taupes and pinks. However, the pigmentation is not up to the par. The middle dusty pink shade barely shows up and needs multiple swipes. I love the colors but the pigmentation let me down. The worst out of the lot, this refuses to show up on my lids. I’ve tried it with eye primers, eyeshadow base and what not but the pigmentation of the Maybelline Diamond Eyeshadow Palette in Tourmaline Purple is just terrible. I would definitely recommend skipping this one. I know alot of people have been raving about the New Maybelline eyeshadow palettes which really surprises me as they are pretty average. 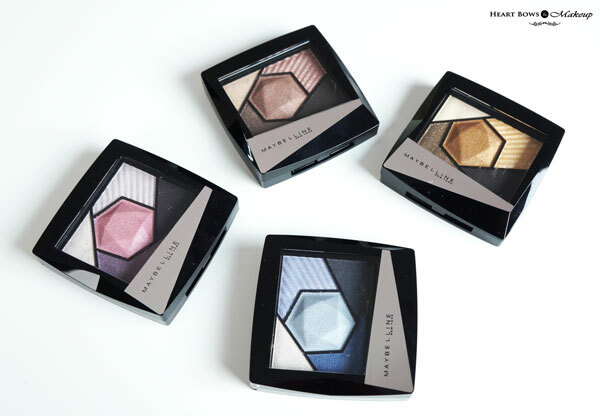 Maybelline hit the nail on the head with the colors and the packaging but with so many affordable brands like MUA & Makeup Revolution making such highly pigmented eye shadows, no one will bother spending so much time trying to build up the pigmentation. I guess Topaz Gold & Sapphire Blue would make for a decent eyeshadow palette for a beginner but I would recommend skipping the other 2 shades. 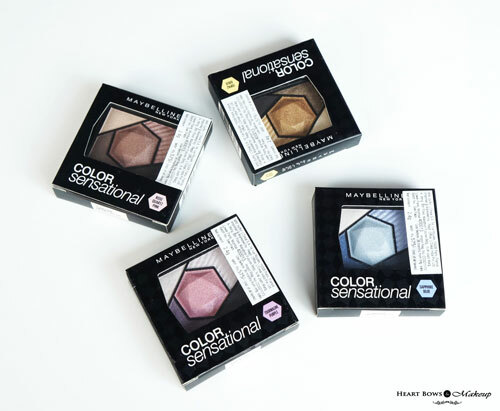 HBM Recommendation: The new Maybelline Color Sensational Diamond Eyeshadow Palettes are beautifully packaged mini palettes that are good for beginners. They come in some lovely shades but the pigmentation disappointed me. If you really want to try out this range then I recommend only Topaz Gold & Sapphire Blue as these are the only ones that had a decent color pay off and wear time.